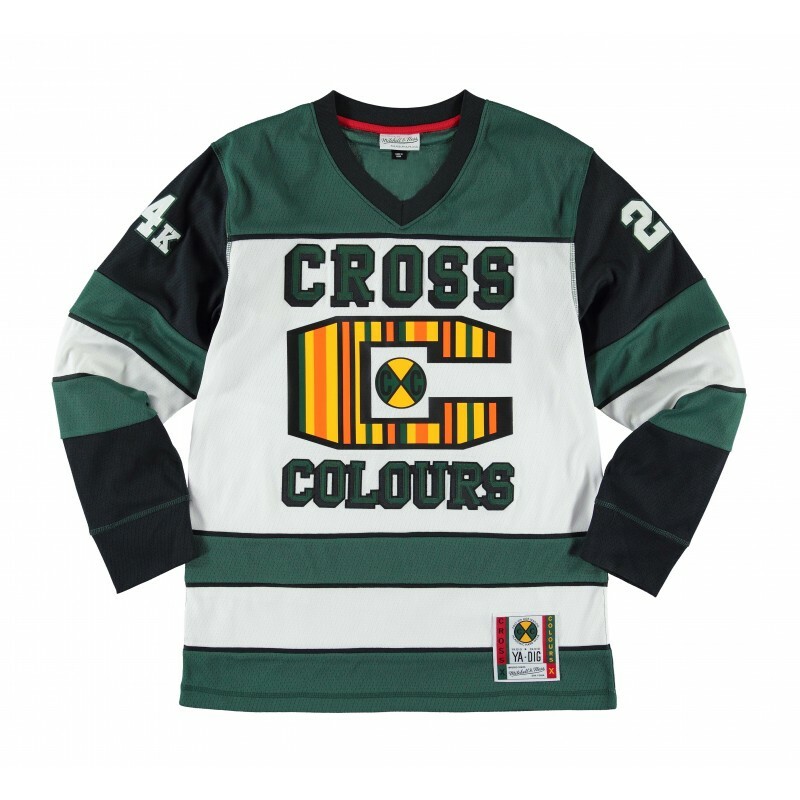 The Bruno Mars '24K CxC' Hockey Jersey was customed designed on a green, white and black color block Mitchell & Ness brand hockey jersey. The front of the jersey features a large vintage striped 'Cross Colours' logo design. 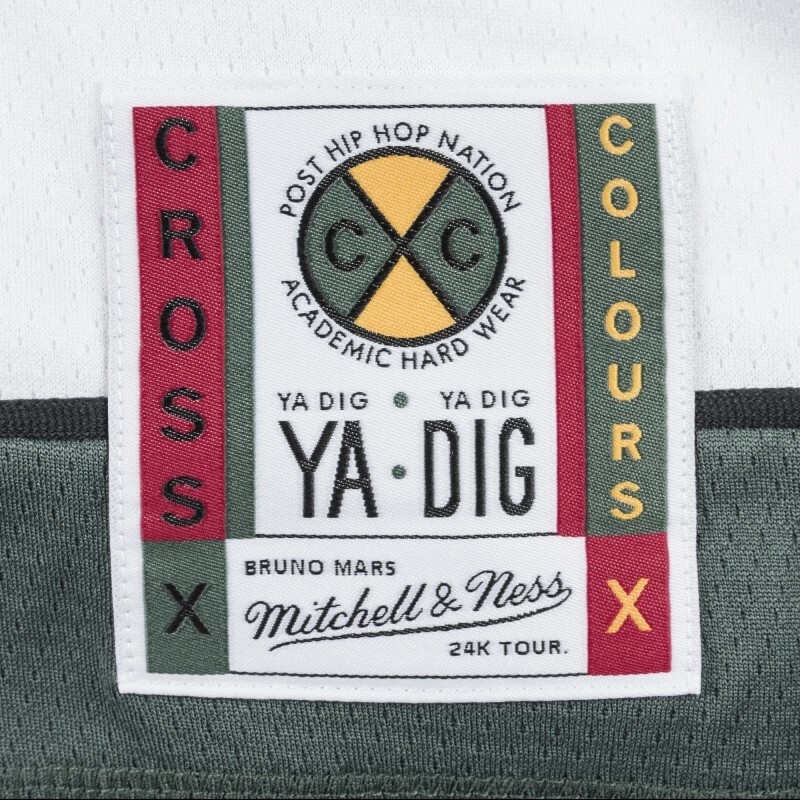 Above and below the design features the word 'Cross Colours' stitched in green and black stitching behind it. On the sleeves, ‘24K' is stitched in white. 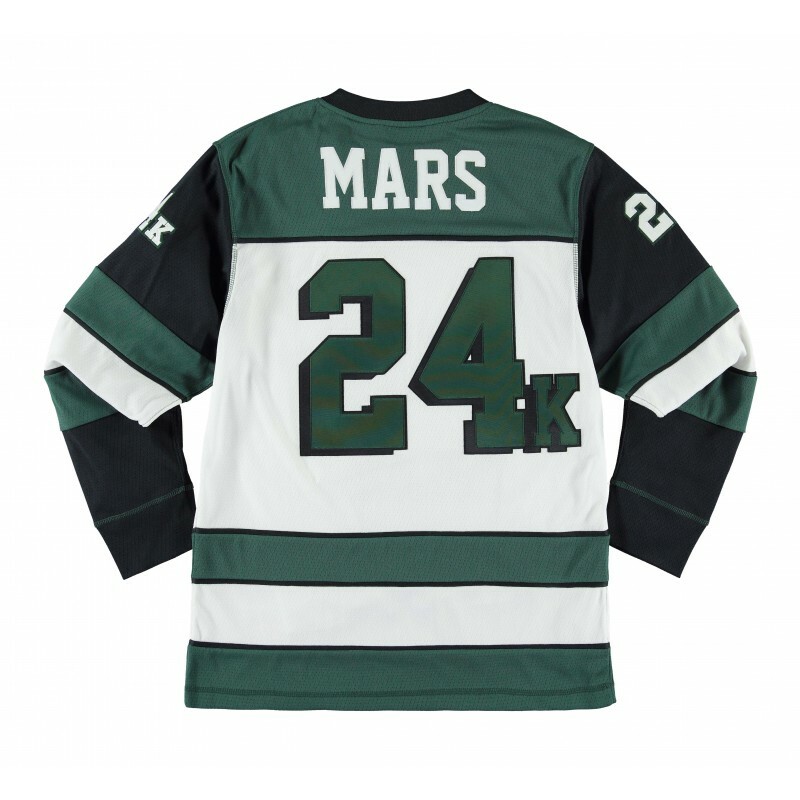 On the back, Mars is printed in white at the top of the jersey. Below that '24K' is stitched in green and black stitching behind it. Custom patches have been added to the bottom of the front of the jersey featuring “Bruno Mars 24K Magic World Tour” and the Mitchell & Ness patch on this hockey jersey.